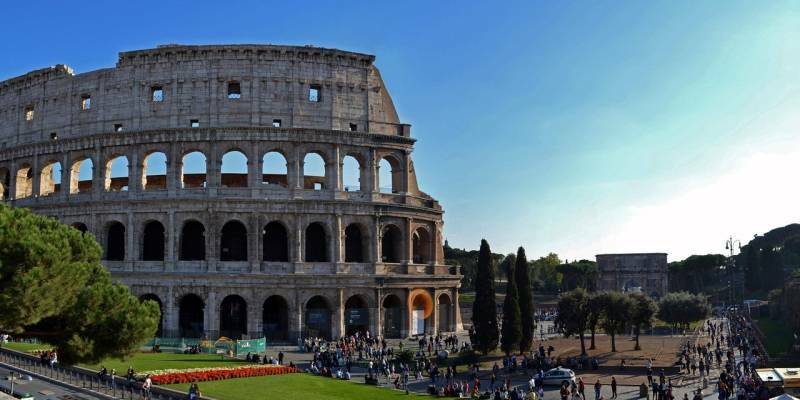 The 2017 EUMETSAT Meteorological Satellite Conference will take place in Rome, Italy, from 2 to 6 October 2017. 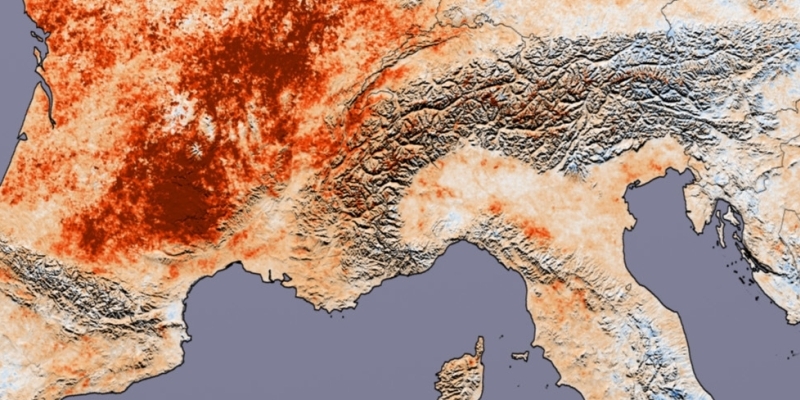 EUMETSAT will be joined in the organisation and hosting of the event by the Italian Air Force-Meteorological Service (ITAF-MET), the national provider for weather and climate services in Italy. The EUMETSAT Meteorological Satellite Conference is a forum that brings together international meteorologists, scientists and researchers to share their experiences and knowledge during plenary, poster and workshop sessions. In addition to the perennial cornerstone themes of weather, ocean and climate observations, the 2017 conference will offer an excellent opportunity to discuss how satellite data can support operational hydrology and water resources management. This will consider the utilisation of the precipitation, soil moisture and snow products delivered by the H SAF, which is led by the Italian Air Force-Meteorological Service (ITAF-MET). The conference will also look at the use of satellite data in very high-resolution numerical weather prediction (NWP) models, and at the preparation for the next generation of geostationary satellites, including MTG. This December the event week will focus on warnings and be called ‘Warning Week’. Forecasters from across Europe struggle with the same kind of challenges, despite the fact that the weather conditions can vary quite a lot in different countries at different times of the year. The aim of this event is to raise the awareness about the tools and warning methods and their advantages and limitations. We also aim to introduce the customer's point of view and raise the awareness of how to efficiently communicate warnings to customers. The target audience for this event is forecasters who issue warnings and staff who develop warning methods and tools. The call for presentations is open until 30 September 2017 (tentative). Further information will appear on the EUMeTrain website. For a fifth time in a row, the autumn school will be held in Perea, close to Thessaloniki, Greece. The main topic will be nowcasting — informing about the state of the atmosphere foreseen for the next hours — and how satellites can help in that task. The participants are currently being selected from among those countries invited to participate, usually the Eastern Mediterranean, Egypt, Tunisia, the Balkans, Malta and, of course, Greece, which supplies students from the Aristotle University in Thessaloniki and from the Greek national meteorological service. This year the presenters will come from Bulgaria, Austria and several SAFs. It is expected that the quiet Mediterranean provides a time for reflection and discussion on how to improve professional skills, which might have turned into unreflected routines. Usually many novel ideas are put forward in the presentation and coffee times. Most of the organisation is run by Prof. Haralambos Feidas from Aristotle University. 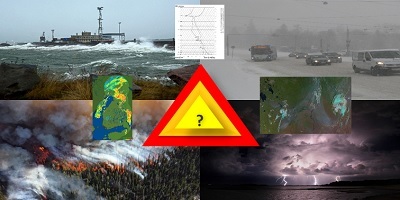 Many weather services around the globe have expressed interest in training on the communication of forecast uncertainty, and on theory and use of EPS products. This signal was captured by, among others, Eumetcal, who facilitated and supported the work of a dedicated team of experts from around Europe called the EPS Expert Team. The team focused on the development of learning resources on topics like communication of forecast uncertainty and the use and interpretations of EPS products. The team is composed of experts and trainers from ECMWF and European national weather services (DWD, AEMET and SMHI). Since MSC of Canada had already developed a learning module with UCAR/COMET on communicating forecast uncertainty and was planning new ones, it became natural to join the efforts and work together; in this way each partner could bring to the table its own expertise and also reach out to a much larger audience. The first concrete result of this 'trans-continental' cooperation was achieved at the end of March 2017 with the publication of two online learning modules, hosted on the COMET's MetEd platform. 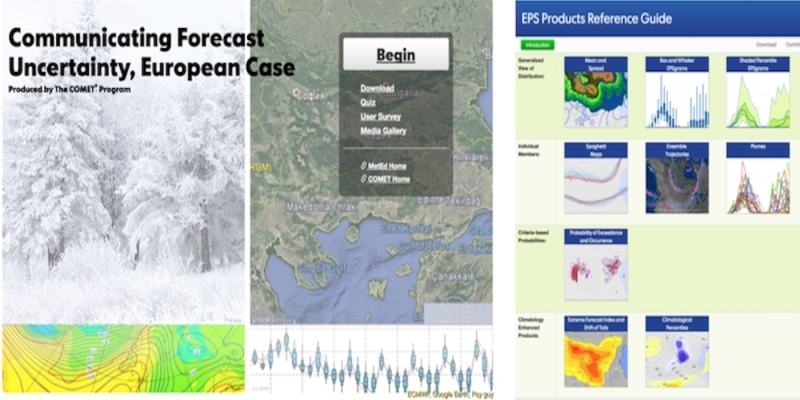 The team is currently developing a final learning module about the application of EPS to meteorological case studies. More information is available in The Training Portal. Land surface temperature (LST) is a key parameter of land surface processes controlling the energy fluxes between the Earth's surface and the atmosphere. Although its importance has long been recognised, local measurements of LST over continents are not yet available for the whole globe. Yet, satellite technology has made it possible to retrieve LST on a global scale and at a temporal frequency of up to 15 minutes. In the recently published EUMeTrain product tutorial on Land Surface Temperature (LST) the true meaning of this parameter (often confused with the thermodynamic air temperature measured at shelter level) is explained. This tutorial also presents the major difficulties with the retrieval of LST over land surfaces. The main differences between LST derived from infrared and microwave data are discussed, as well as from polar orbiters versus geostationary satellites. Finally the relevance of estimating LST from satellite is highlighted by going through some examples of its many possible applications. The course was mainly asynchronous, with expert guidance provided by staff from ECMWF, KNMI and DMI, supported by facilitators from IPMA, DHMZ and ECMWF. Elaboration of a showcase was the course main task. Facilitators and experts provided feedback about the showcase evolution after each milestone, and whenever it was requested. Thirty forecasters, 25 from Europe, attended the course. Participants worked in all meteorological areas around Europe, the south Atlantic, the Antarctic and the Indian Ocean. Participants reported that they will apply skills acquired during the course to their job and recommend the course to their fellow colleagues. Due to their quality, experts selected seven showcases to be published in the Image Libray on the EUMETSAT website. From discussions in the course forum problems in buoys metadata were identified and will be addressed. More data was included in EUMETrain ePort-Pro. This training was organised in cooperation with WMO, ESA, SEA, H SAF, LSA SAF, FAO. 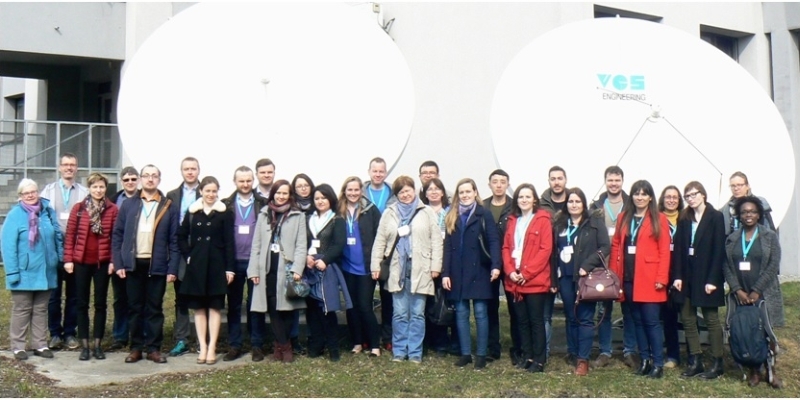 The main objective was to offer analysis and software solutions to agro- meteorologists or hydrologists in Central Europe, and to take advantage of satellite data. The amount of information currently available can be overwhelming, so this course focused on the problems of grabbing the data for analysis and monitoring of yields, vegetation condition and droughts — a mounting concern. Soil moisture and drought are the two major concerns in the central-eastern European region, at a time when the attention to harvests and desertification grows. Attendance was the highest since these courses started in Niamey in 2012. In addition to presentations, discussion focused on regional needs. While for some overviews as those explained in the course were adequate, other participants requested specific training on the tools: how to use them and the resulting data. The 45 participants filled a well-equipped auditorium and were both active and critical. There was some difficulty in identifying an organisation where users can have recourse to, and how to ask for information and training on specific topics. There was consensus on the need for more training, which is encouraging. The Baltic+ course is a joint initiative of the National Meteorological Services of Estonia, Latvia, Lithuania and Poland. Forecasters from Belarus, Russia and Ukraine are also invited. This year the course 2017 was organised by the Lithuanian HMS in Vilnius on 14–16 March. The main topic of the course was severe summer convection in the Baltic region. The purpose of the training was to improve the ability to correctly interpret satellite products and teach forecasters to use satellite data and tools in more professional way for nowcasting and early warnings. EUMETSAT satellite and NWP data were used to identify clouds and MCS —their development and weakening. The course consisted of online and classroom phases. To prepare participants for the classroom phase and reduce differences in their knowledge, an online phase started in February. The Moodle platform enabled participants to use training resources, to discuss on forums, do learning activities, and complete self-assessment quizzes. 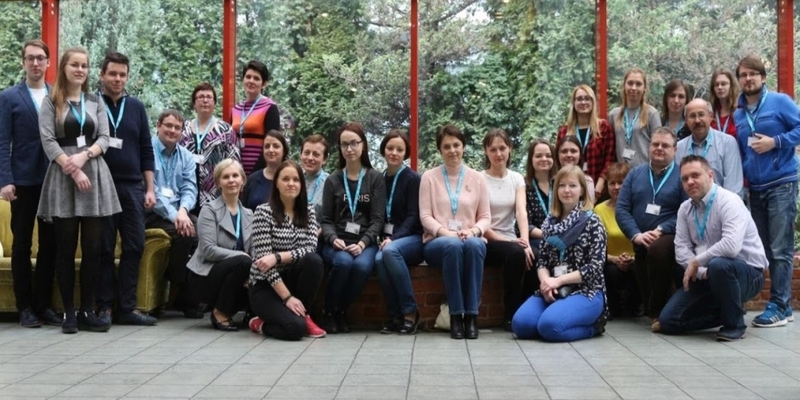 The three-day workshop in Vilnius mostly focused on practice. Participants enjoyed working on a simulator of a severe storm case from 11 July 2016, which took place in Lithuania. Successful participants in both phases have been awarded certificates. 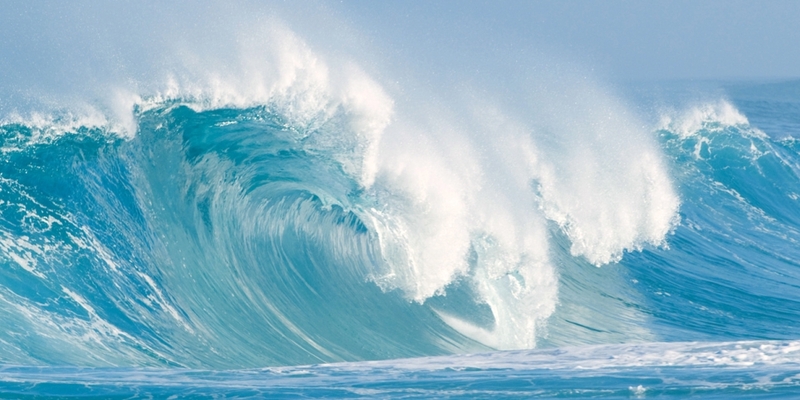 International training courses on radar meteorology have been offered since 2008. They are delivered in cooperation between Eumetcal and DWD (course management) and WMO and Eumetcal generously sponsor course participants from transition countries. The course was blended, with eight topics covered during the online phase (self-study, live presentations, tests and homework for students) and a one-week classroom phase at the training centre of the DWD in Langen. Two categories of students were defined: a) only online participation, b) participation in the online phase and the classroom phase. This enabled more people to join the course and as a result, 24 online students and 16 classroom/online students participated. Seven trainers helped with the online phase: preparing material for the students' self preparation and delivering online lectures. Because quizzes and homework were a crucial part of this phase the trainers evaluated the homework of 40 students. During the classroom sessions in Langen, six trainers guided students through the exercises and group works. Eumetcal supported the course by managing their new web conferencing system and Moodle platform. These frame conditions helped the trainers and the course manager to have ready built course design and technical support during the online sessions. The majority of students provided the proof of their skills by delivering at least 50% of the homework and quizzes in high quality. On the last day of the classroom phase, the students were asked to fill out a short test. All students passed this test. Some participants also impressed the trainers with an outstanding engagement during the classroom part. Subsequent feedback from participants was very positive. 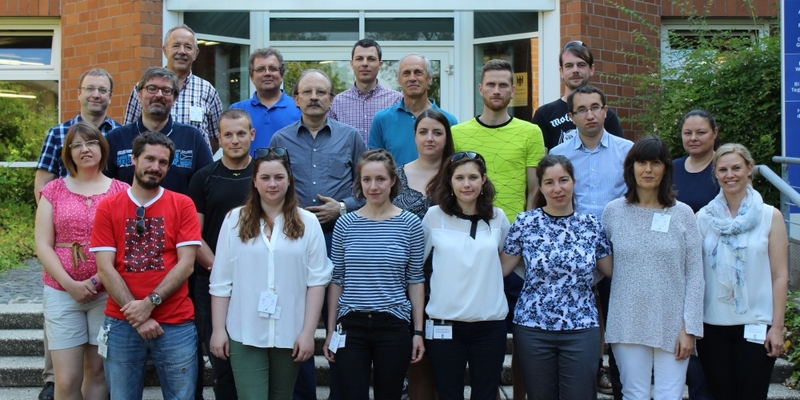 The special characteristics and application possibilities of satellite-based climate data records were the subject of a workshop hosted by the Polish National Meteorological Service in Krakow. Out of more than 80 applicants, 23 participants, from predominantly Eastern European countries, were invited to Krakow. The planning and running of this workshop was strongly supported by the CM SAF. During an online phase participants studied the tasks and data records of the CM SAF and discussed questions with their course mates and the teachers. The online phase also provided support with installing software required for the classroom workshop. The focus of the workshop was on the use of CM SAF climate data records using the R-based CM SAF Toolbox and the geo-information system QGIS. After an introduction to both software packages, the participants worked on self-selected projects, which were summarised in short presentations at the end of the workshop. They learned about the characteristics of the CM SAF climate data and the handling of the data format with different software. The workshop was also very instructive for EUMETSAT and the CM SAF team, as both strengths and possibilities of improvements regarding data and software were identified. The first Advanced SEEMET course was organized in Ljubljana in 2016. This year the first basic satellite course was scheduled and delivered from 8 to 12 May, in Bar, Montenegro. 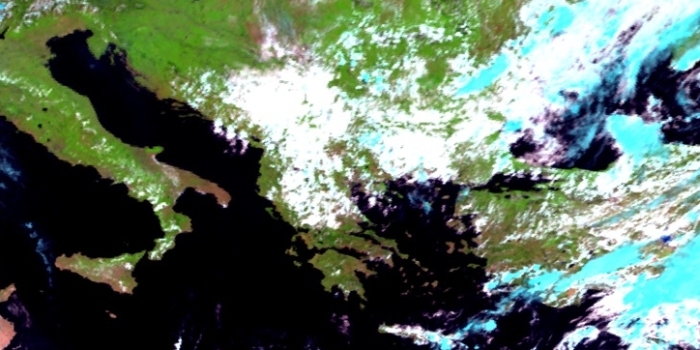 The course was organised by SEEMET (South Eastern European Meteorological Training) community, hosted by Institute of Hydrometeorology and Seismology of Montenegro (IHMS), and supported by EUMETSAT, EUMeTrain and Eumetcal. The aim of the course was training the forecasters from the region to use the basic satellite products that they have in their offices more efficiently. During the course, participants were introduced to basics of satellite technology, the ways of receiving and processing satellite data, physical aspects of satellite measurements, single satellite channels, and RGB composites. After every morning lecture, practical group work was organised, where the students had to analyse the satellite imagery, answer the teachers’ question and make a short presentation about the case they had. The course was evaluated as successful according to the course evaluation questionnaire located on the Moodle platform and many participants were interested in similar courses in future. Did you follow our training activities in March and April 2017, in relation to the research vessel Polarstern’s voyage from Punta Arenas to Bremerhaven? You can find the write-up on the mission, by Oliver Sievers and Volker Heil from Deutscher Wetterdienst in the EUMETSAT Science Blog. After the vessel Polarstern arrived in Bremerhaven, the EUMeTrain Working Group visited the vessel during a meeting (image). As a result EUMeTrain will publish more learning material from Oliver and Volker from this long cruise. The advantages of RGB satellite images from EUMETSAT and Metop for special weather situations in different climate zones. Making clear the importance of satellite images for the safe navigation and an optimal operation of the scientific work. The issues associated with comparing satellite values with ‘true”’measurements from the vessel. "During the three months between January and April 2017 I had a memorable opportunity to improve my skills in satellite meteorology and to learn from the best trainers in this field - as a trainee in EUMETSAT's headquarters in Darmstadt. My main duties during this time were to take part in the organisation of Baltic+ 2017 course and revision of the Convection Working Group's Best Practice Document. These tasks were executed both on site in Darmstadt and on foreign missions in Vilnius and Ljubljana. As a trainee I got a lot of substantive help from my tutor Vesa Nietosvaara. All benefits I gained from observing and co-operating with Vesa and other members of the Training Team I found not to be overstated. As a result, soon after coming back to Poland I started to revise the training process in my home institution. Last but not least, my time in EUMETSAT was very exciting also due to a lot of very nice, helpful and fascinating people from all around a world working in this organisation and with whom I had an occasion to work with in Vilnius and Ljubljana. Thank you all very much!" The third International Ocean Colour Science (IOCS) meeting took place in Lisbon, Portugal, 15-18 May 2017. The event was held in partnership with, and thanks to sponsorship from, EUMETSAT, ESA, the target="_blank"European Commission, NASA, Thales Alenia Space and Airbus. 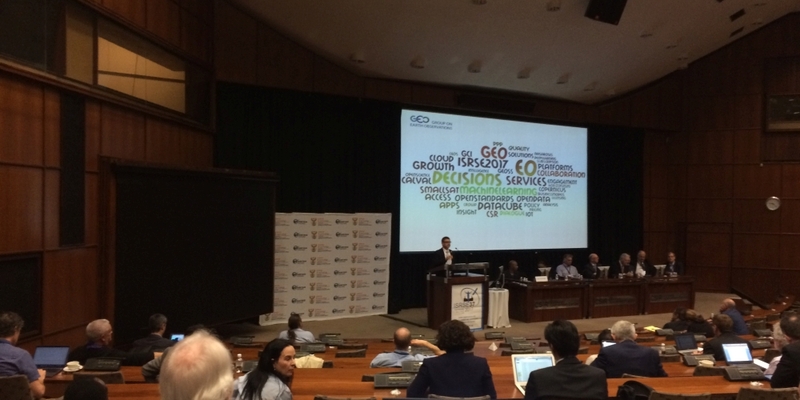 The primary aim of this event was gathering together the ocean colour community in order to share ideas, issues, and suggestions from ocean colour researchers and companies with satellite agencies and data providers. The IOCS-2017 programme included different activities, such as keynote lectures, breakout workshops and poster sessions. All the activities were focused on improving the skills of the global ocean colour user community, and promoting the exchanges of knowledge between users and international space agencies. 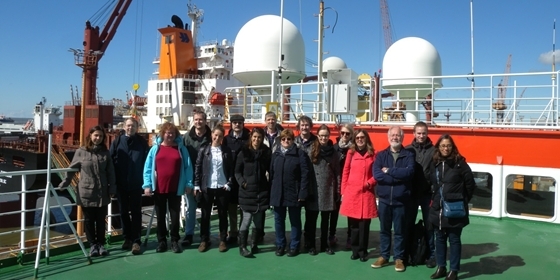 The IOCS event has been followed by two one-day-training workshops, one of them offered by EUMETSAT - the 'Copernicus marine data stream training event'. 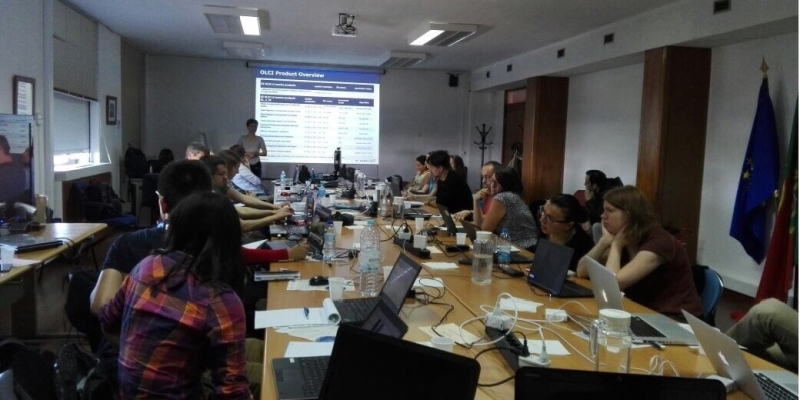 The aim of the training was to explain to participants how to access the Copernicus Marine Data Stream (CMDS), which is provided by EUMETSAT, and how to work with data using SNAP software. During the event a short overview about EUMETSAT Copernicus products was provided, plus an explanation of the most important functionalities of SNAP software and some practical examples on how to use data. 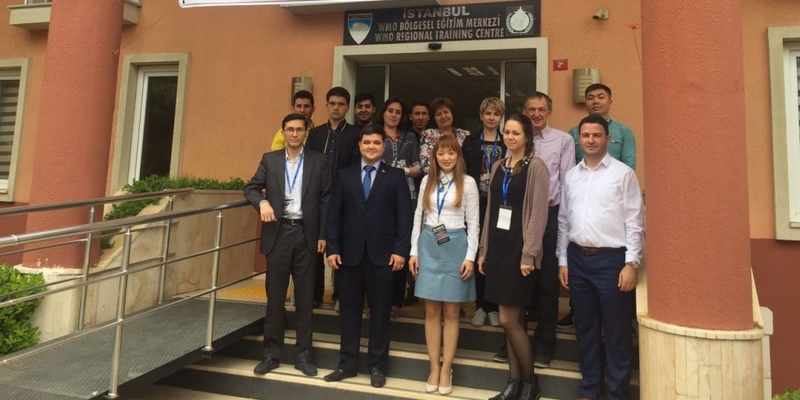 In cooperation with EUMETSAT, TSMS organised a training course on the use of EUMETCast stations for the analysis and monitoring of Meteosat data for the central Asian region, from Meteosat-8 and Meteosat-10. Ten participants from Uzbekistan, Kazakhstan, Turkmenistan, Kyrgyzstan and Tajikistan actively participated in the hands-on work. Their aim was to become familiar with the features recognisable in the high quality Meteosat-8 imagery, which, following its move to 41.5° East, has become an excellent monitoring tool in that region. All participants are now registered in our Earth Observation Portal (EOP) for historical imagery and products. They are also committed to generating case studies on the next significant weather situations what affect their countries. 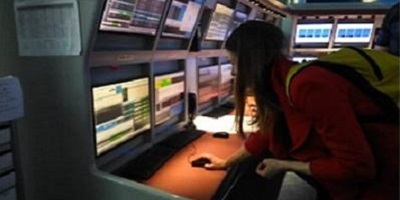 The software in their stations was recently upgraded by TSMS to cope with the Meteosat-8 1.5-level data — even on a single computer, as reported by Mr Erdem Erdi from TSMS, software developer and project manager for SADCA. Mr Erdi describes a rewarding experience: "Tajikistan had reception problems and was not be able to receive data. After the training in Istanbul had finished and participants returned to their homes, and while I was trying to find some time and opportunity to further investigate the problem remotely, a colleague from Kazakhstan jumped in and remotely resolved the problem. I think this was a very positive event for demonstrating one of the goals of the SADCA Project: improving regional collaboration between the countries." 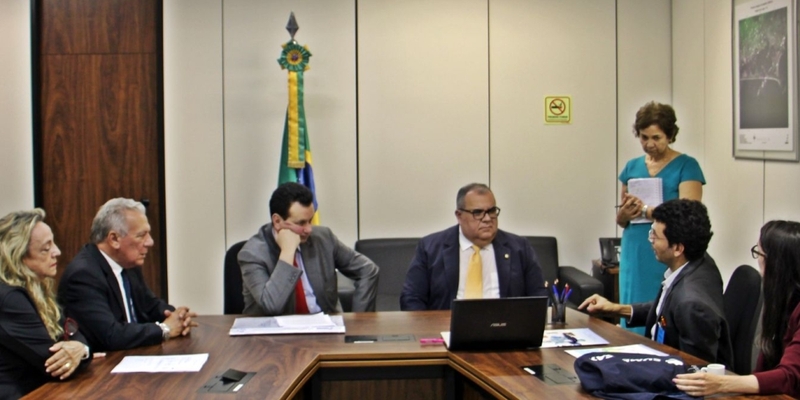 In cooperation with National institute for the semi-arid (INSA), Laboratory for image processing in the University of Alagoas (LAPIS) and the LSA SAF, EUMETSAT serviced a stand in this symposium. Information was provided, mainly on land and weather applications of EUMETSAT data, always highly valuable in the region. Catarina Buriti from INSA, Carla Barroso from LSA SAF, Humberto Barbosa from LAPIS, and Jose Prieto from EUMETSAT answered many questions and requests. The symposium was attended by 700 scientists and professionals in hydrology, geology and related fields, mainly from Brazil, Argentina and America. Following the cessation of the EUMETCast-Americas service, some users are now exploring using the antennas for the equivalent African service, which is still powerful from the north of Brazil, Venezuela, Colombia, Cuba and the Caribbean. INPE (National institute for space research) is technically ready for the terrestrial EUMETCast solution, which would service many users through an internet portal. Geonetcast-Americas, in spite of offering GOES-16 imagery,is not being adopted by many users with former EUMETSAT equipment. They find the conversion procedure complicated and expensive. In any case, GOES-16 at 75 °W is the optimal position for users not wishing to only rely on internet data. Meteosat cannot be spared according to Luiz Machado (INPE), due to its essential Atlantic coverage, margin for cross-calibration and comparisons, and access to other satellites linked to EUMETSAT. "Thirty years of cooperation between INPE and EUMETSAT cannot finish now", he said. This symposium is a major international meeting for the remote sensing community and an opportunity to find the focus of the Earth observations from space. This year, it coincided with the recently adopted African Space Policy and Strategy, which is regarded as a big step towards the development of African space science. 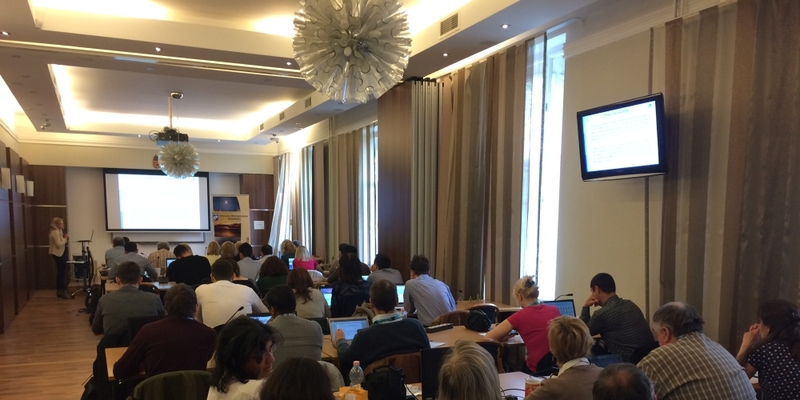 The sessions on education, where EUMETSAT was more active, consisted of five presentations of training formulas and courses, followed by questions, most of them on efficiency and accessibility, and on the selection of participants for courses. Several presenters dealt with online formulas, and only EUMETSAT emphasised the importance of classroom sessions for discussion and hands-on-work as an effective combination, in particular after the motivation and interest triggered by the online phase. The majority of participants came from South Africa, followed by Europe, then a reduced American component. EUMETSAT attended the symposium at the suggestion and invitation of ARSET (applied remote sensing training), a NASA organisation which offers training on the skills to integrate science in decision-making.